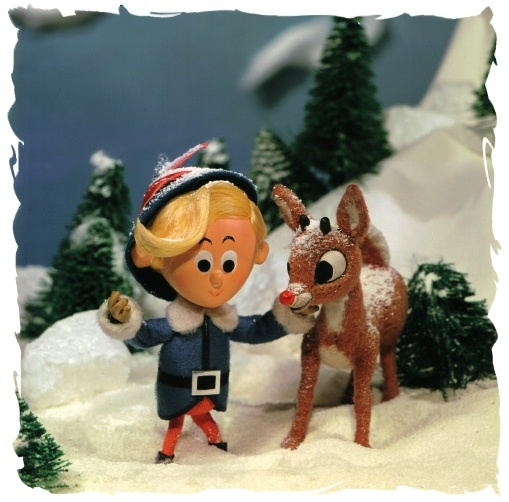 NEW HERMEY & RUDOLPH pic for the R/B Archives! 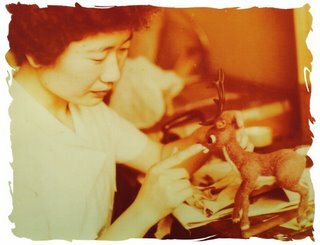 Possible cover to the NEW MAKING OF RUDOLPH book for JAPAN! This is the RUDOLPH that was with us at WIZARD WORLD CON! Notice the glue around the pupil of the eye. KYOKO KITA checked in on this blog and saw her original ANIMAGIC creations beautifully restored! She was VERY happy to see SANTA & RUDOLPH restored to their original glory and displayed in a nice glass case and she hopes they stay that way for many years to come:0) I contacted her because I am now assisting PETIT GRAND PUBLISHING INC. in JAPAN with the Japanese version of my book on THE MAKING OF RUDOLPH THE RED-NOSED REINDEER for Japanese consumption. It has been alot of fun delving through the materials once again and the book will be released in JAPAN this Christmas!